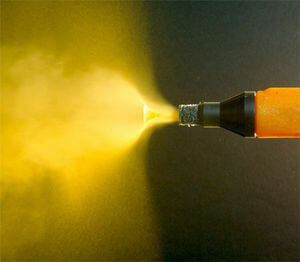 The Greenfield products are Australian made for our conditions. Cutting our grass like no other ride-on mower can. 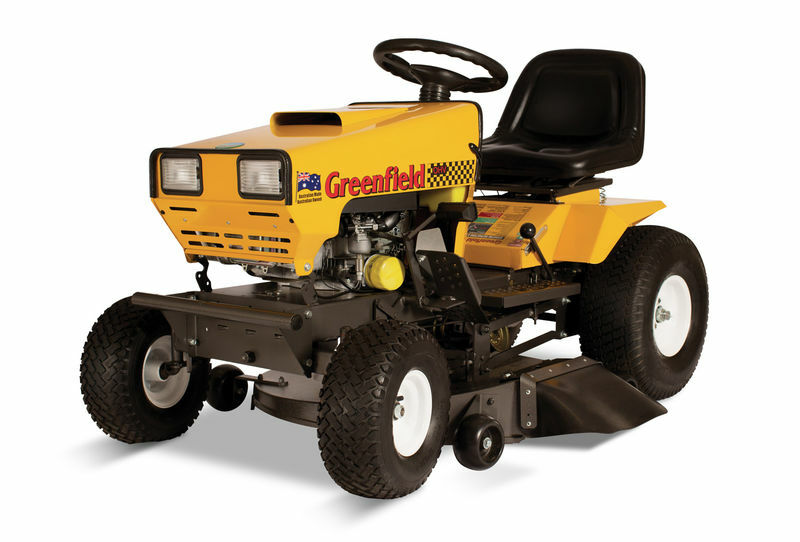 This model is one of Greenfields deluxe products meaning it has a larger deck at 34", bigger wheels, a differential lock although this model is fitted with the single cylinder engine with 17.5hp making it more affordable for the customer. 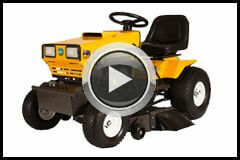 The cutting blades are on a disk, with the front of the deck cut open providing optimum cutting ability. By having the front of the deck open, the grass doesn't get pushed flat. This accompanied with the fast blade speed it why Greenfield mowers can mow grass a meter high! (like in the video below) The differential lock makes the Greenfield ideal for tight areas and uneven surfaces too meaning you would have a product suitable for all conditions. The Greenfield design is tough and simple which is why they last for so many years. If you want a ride on mower that will last for years buy a Greenfield.